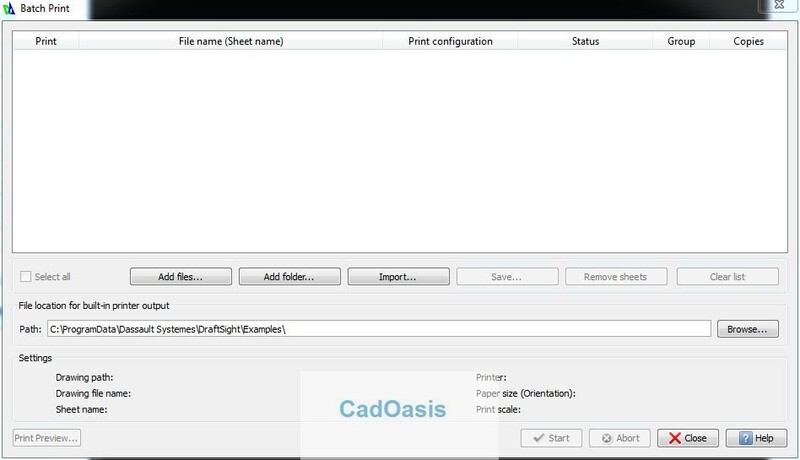 How to Use Batch Print in DraftSight? You are here: Home / DraftSight / How to Use Batch Print in DraftSight? Where is Batch Print ? 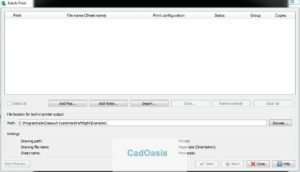 Click Yes if you want to add current open Drawing to Batch Print . If you have not saved your Drawing file then following message will pop up . 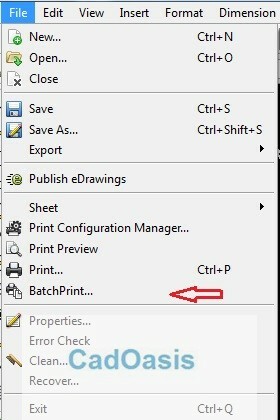 Clicking Ok will open following Dialog box of Batch Print but it won’t save your Drawing file. 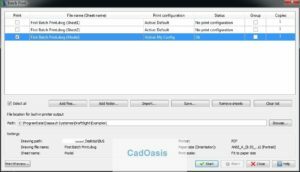 If you want to save your Drawing file then Click close on following dialog box and then Save your Drawing and run Batch print command again. 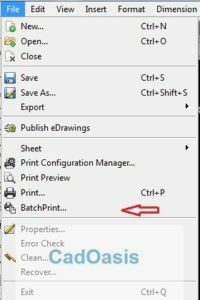 Tip: Batch print only works for Saved Print Configuration so first you need to assign Print Configuration to Model as well as Sheets also. 5. 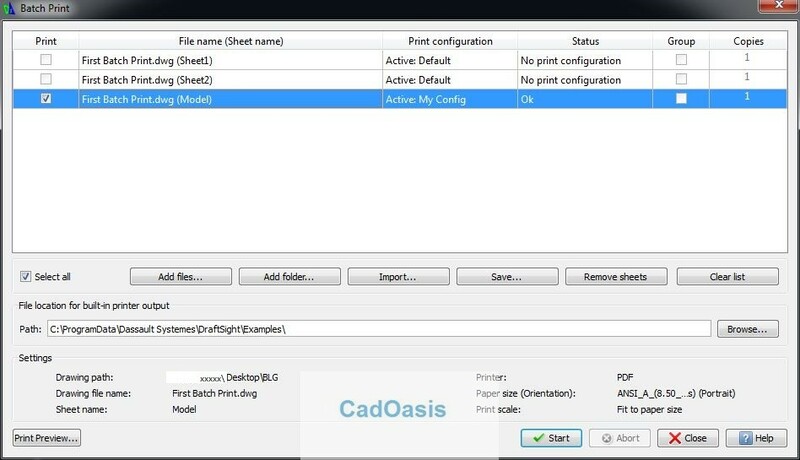 Now that you have assigned Print Configuration to Model You have multiple option on Batch print dialog box . ‘Add files…’ which have Print Configurations assigned. ‘Add Folder …’ : contains files that you want to Print . ‘Remove Sheets’ : Select Sheets that you don’t want to print or don’t want to include in Batch Print Process and Remove from this tab. ‘Clear List’ : You can clear whole list by clicking on this tab. Where are my output files ? Following location is default location for built-in-Printer(PDF,JPG, etx) output. You can ‘Browse…’ it and change its location as you want. Once Batch print Process is started you will see it in notification status on Bottom Right Corner of DraftSight. This will change when process will complete. In case you face any Difficulty or want to know more about DraftSight then feel free to Contact me ! or comment on respective Posts. full of drawings to print over and over as i do jobs through out the year? ?